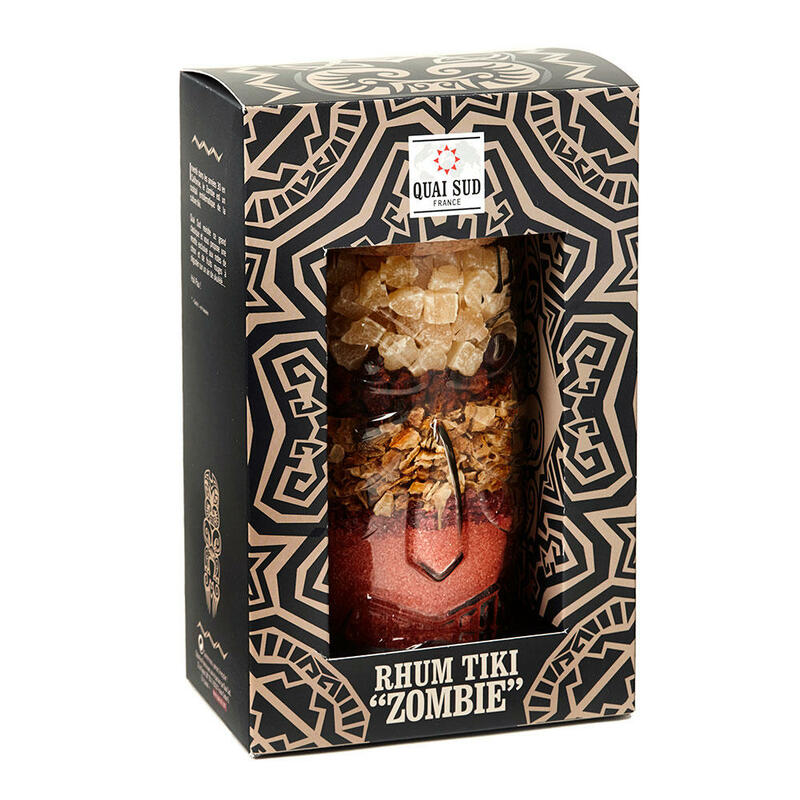 Includes one Tiki glass full of all the ingredients you need to make 20 Zombie cocktails. Just add rum! Ingredients : cane sugar, pineapple 25.3% (pineapple, sugar, citric acid), lemon peel, strawberry, raspberry 10.8% (raspberries, sugar, E202, E509, citric acid, sunflower oil, dextrose), natural aroma taste blueberry, coloring: E129, natural aroma taste strawberry, aroma (raspberry) 0.05%, water. May have a detrimental effect on children's activity and attention. Directions for use : pour the ingredients into a container and let macerate for 48 hours in 2 litres of white rum. Filter. Tasting: in long drink with fruit juice or "ti'punch" with 1/4 of lime. Possible traces of nuts, sesame, mustard, gluten, milk, egg, soy, sulphites.